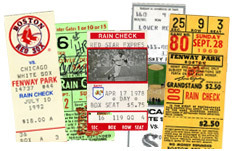 We are assembling a collection of ticket stubs from every game that Carlton Fisk played. View detailed game statistics and actual tickets representing Carlton Fisk's entire professional baseball career. Have fun browsing through the ticket collection—you won't find anything else like this on the internet! 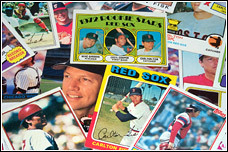 This is the largest collection of Carlton Fisk memorabilia in the world, from baseball cards to game-used equipment to toys. We strive to present a complete database of unique Carlton Fisk items. Additional photos and items will be continually added.